Russian State Security Service, the FSB, reported on Wednesday that they managed to find and kill an Egyptian national who was the founder of a Russian Al-Qaeda cell. The FSB said that the man organized terrorist attacks and worked for Georgian intelligence. The FSB gave the name of the man as Mokhmad Shabaan. 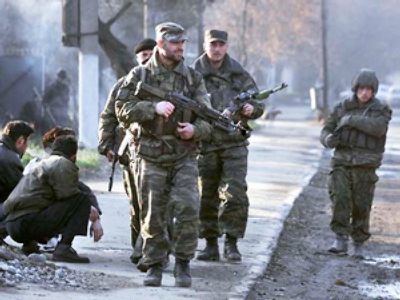 He was killed in a special operation in the South Russian republic of Dagestan on Tuesday night. The suspected terrorist was on the international wanted list for his operations in Afghanistan, Sudan, and Lebanon. Security sources believe video footage shows Shabaan plotting the notorious Moscow theater siege in 2002 in which more than a hundred people died.